The Georgia Historical Society will erect a new historical marker in Macon, Georgia, recognizing Oak Ridge Cemetery, an African-American cemetery established in 1851. The Georgia Historical Society (GHS) administers the state's historical marker program. Over the past 20 years, GHS has erected over 250 new historical markers across the state on a wide variety of subjects. The Oak Ridge Cemetery Historical Marker Dedication will be held September 27th at 11:00am at Oak Ridge Cemetery. Speakers will include Kim Campbell, Director of Preservation Field Services at Historic Macon Foundation; Jerrilyn Larkin, researcher and advocate for the historical marker; Elaine Lucas, Macon-Bibb County Commissioner; and Elyse Butler, Outreach Coordinator at the Georgia Historical Society. 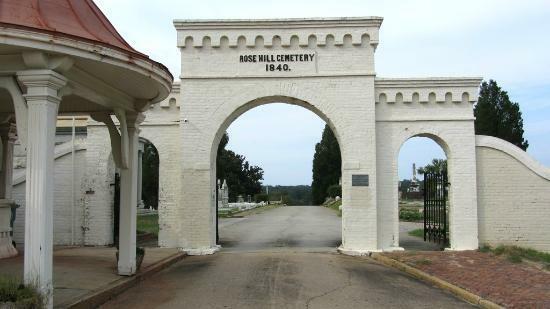 Oak Ridge Cemetery was formally established in 1851 when the Macon City Council designated land in Rose Hill Cemetery specifically for African-American burials. As a municipal cemetery, burial records exist for Oak Ridge and document at least 960 burials of both enslaved and free people of color prior to the Civil War, many of which are now unmarked. A portion of the cemetery was sold in 1879 to serve as a burial place for the Temple Beth Israel congregation. The inclusion of “Strangers’ Row” for paupers in the 1890s illustrates a shift in interments. In the twentieth century, Oak Ridge provided burial space for Macon’s growing African-American business class. Individuals interred here include Hannibal Roe, “a free man of color,” buried in 1846 in a now-unmarked grave, and Professor H.J.T. Hudson, namesake of Ballard-Hudson High School.